Branko Kolarevic and Vera Parlac presented a lecture titled Building Dynamics: Exploring the Architecture of Change at the University of Texas Austin on September 26. Their book by the same title is available for sale on amazon. The LID returns home this week from attending the 2016 ACSA International Conference in Santiago, Chile, where we presented three projects (1 2 3) and one paper by Jason Johnson and Matthew Parker. Both presentations were followed with lively and engaging panel discussions. 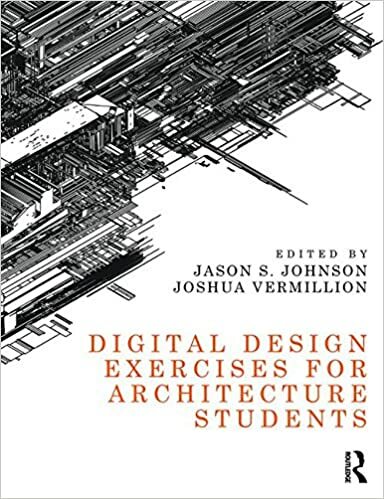 Digital Design Exercises for Architecture Students Published. We are happy to announce that we will be presenting research developed in the LID in South America this summer. Jason Johnson and Matthew Parker will present a paper outlining their research in the areas of Ubiquitous Simultaneity, Computer Vision and Generative Design. The team will also be presenting three projects (1 2 3) selected for the exhibition.